The company ACRIS LOGOSTIC is a large logistic center in Zhitomir with extensive, well stocked base. The warehouse areas, their modern equipment, all necessary intra warehouse equipment and infrastructure, partial automation of work and effective system of cargo ordering allows our company to be one of the best in the sphere of warehouse logistics. 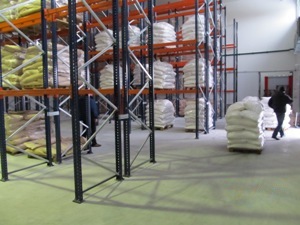 At our company's disposal there are huge hangars of warehouse areas of closed type and spacious open areas. 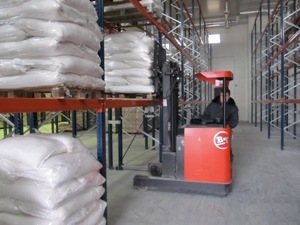 All types of warehouses are professionally served by our experienced personnel and modern warehouse equipment. Batching on expiry date, sale geography, etc. Our personnel is a team of high-skilled and experienced in the sphere of warehouse services workers. We consider it as one of the essential conditions for fast, effective, well coordinated and accurate work of all warehouse systems. The warehouse complex ACRIS LOGOSTIC can serve some tens of suppliers and contain in an ideal order hundred thousands batches at the same time.